If you’re considering plastic surgery, perhaps you’ve wondered what time of the year is best to undergo a procedure. The answer, of course, may just be what best works for you depending on your particular situation. 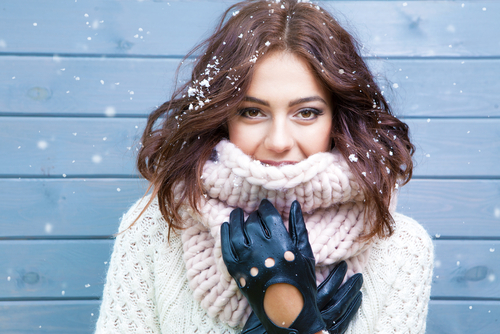 For many people, though, the winter months may provide the best opportunity to undergo surgery – and for a variety of reasons. Whether you desire breast augmentation, breast lift, breast reduction, or gynecomastia surgery (male breast reduction), here is why many men and women consider winter the optimal season for plastic surgery. After a breast or chest enhancement procedure, the amount of downtime needed can span from a couple of days to a couple of weeks. Since most jobs offer time off for the holidays during the winter months, patients have time to recover without having to use all of their vacation days. People are also usually less physically active in the winter, which gives patients time to heal before the spring and summer months when they will likely be busy with outdoor activities and gatherings. The colder weather in the winter compared to other seasons forces people to wear layers and thicker, warmer clothes. Wearing jackets (and maybe even scarves) allows patients to cover up swelling and bandages while they recover so that others will not know they’ve undergone a procedure. This helps patients feel less exposed and less self-conscious about themselves as they heal. By the time the warmer weather arrives, patients will be healed and ready to show off their new and improved body contours. With the popularity of plastic surgery, an increasing number of men and women want to enhance their appearance. Instead of giving traditional gifts, more people are purchasing plastic surgery for their significant others or loved ones. Dr. Steven H. Turkeltaub is a board-certified plastic surgeon and a member of the ASPS, the ASAPS, and other medical societies. To discover how you or a special person in your life can benefit from all that plastic surgery has to offer, schedule a consultation with Dr. Turkeltaub today by calling (480) 451-3000. You may also fill out our online contact form for more information.